Whether you are vegan or not, vitamin D is probably something you should be worried about. One study found that the prevalence of vitamin D deficiency in the United States was 41.6%. The situation is so bad that The American Journal of Clinical Nutrition called it a “pandemic.” Here is what you need to know about vitamin D to make sure you are getting enough vitamin D on a plant-based diet. Vitamin D is best known for its role in bone health. It helps the body absorb calcium in the gut so the calcium can make it into the bloodstream. Drink all the fortified soy milk and calcium superfoods that you want – if you aren’t getting vitamin D, then that calcium is going to go to waste. Vitamin D also protects bones by blocking parathyroid hormone, which is a hormone which causes calcium from the bones to leach into the blood when levels are low. There is some evidence that vitamin D deficiency may be linked to certain types of cancers. In addition, higher blood levels of vitamin D are linked to lower rates of heart attack, stroke, arthritis, and depression. Healthy adults need about 600 IU of vitamin D per day. We don’t need to get it through food: our bodies make vitamin D when UV rays from sunlight hit the skin and trigger synthesis. It only takes about 20 minutes of exposure to the sun daily (on the arms and legs) to get enough vitamin D. Today, many Westerners spend most of their time indoors, hence why vitamin D deficiency is becoming such a concern. Most people don’t get enough sunshine to make vitamin D, especially in winter. Since we are able to make our own vitamin D, our bodies didn’t evolve to get it through diet and there are very few foods which naturally contain vitamin D. Certain fatty fish contain vitamin D, and an egg yolk contains about 10% of the RDA for vitamin D. The only vegan foods that contain vitamin D are some mushrooms — more on this next week! Without a food source of vitamin D, it can be rather difficult to ensure we are getting enough of it – especially in the winter when there are only a few hours of sunlight. Even if you are going outside in the winter, you are probably wearing lots of clothes so the sunlight is only hitting your face. The estimate that you need 20 minutes of sunlight daily to meet vitamin D requirements is set assuming that your arms and legs will be exposed. With just your face exposed, you’d have to be outside in the sun much longer. People with dark skin are at a much higher risk of vitamin D deficiency because the pigment in their skin blocks UV absorption. People of African descent, for example, may have their ability to produce vitamin D from the sun by as much as 99%. Thus, most African Americans living in temperate areas are vitamin D deficient. If you are overweight, then this can also make it harder to get enough vitamin D. Since vitamin D is fat soluble, it gets stored in your fatty tissues. Thus, in people with high amounts of body fat, the vitamin can end up getting stored instead of being used by the body. Note that vitamin D cannot be gotten from sunlight through a window! You have to be out in the sunlight in bare skin. Even sunscreen will decrease vitamin D production. One study found that wearing sunscreen decreases vitamin D production by as much as 10x. It doesn’t seem fair that you’d have to choose between skin cancer and vitamin D deficiency when you go outdoors. In the summer and in sunny climates, vitamin D shouldn’t be an issue for vegans. But what about in winter? One option is to take a vitamin D supplement, consume foods fortified with vitamin D, or make a point to eat a lot of wild-grown mushrooms. Don’t think that you can eat just any ol’ mushroom from the supermarket and get your vitamin D. Most mushrooms only contain a negligible amount of vitamin D. For example, you’d have to eat about 6 ¼ pounds of white button mushrooms per day to meet the RDA for vitamin D.
Why do maitake, chanterelle, and morel mushrooms have so much vitamin D and the others virtually none? It is because these mushrooms are grown and harvested in the wild where they have exposure to sunlight. Just like us, mushrooms are also able to convert UV rays into vitamin D. Most commercially-sold mushrooms are grown indoors, so they were never exposed to daylight and able to produce vitamin D.
*You can buy organic maitake mushrooms here. 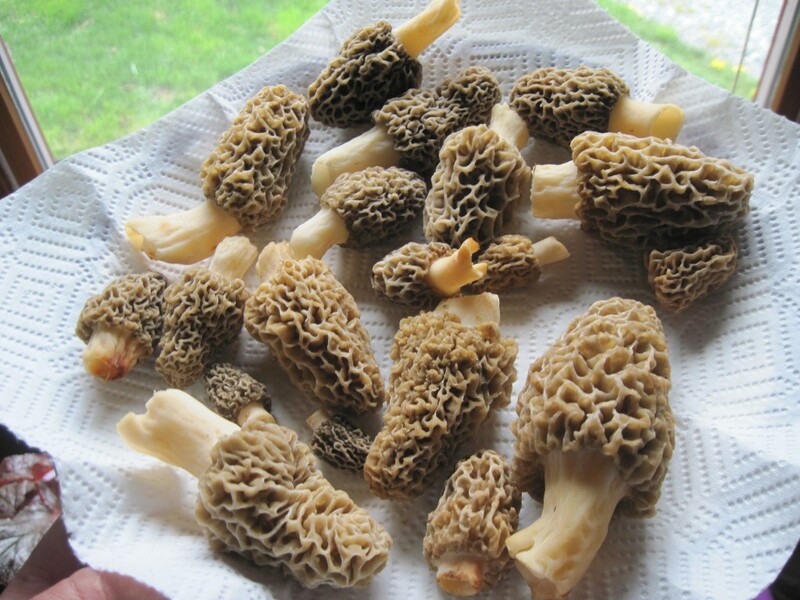 These morel mushrooms are a great source of vitamin D because they were grown outdoors. Some manufacturers have started exposing their mushrooms to UV lights for about 10-15 seconds after harvesting. This gets the mushrooms’ natural vitamin D production going. The result is a huge increase in vitamin D content. 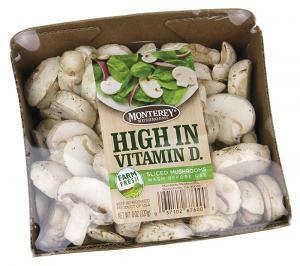 For example, in the USA, the brand Monterey makes “Vitamin D Mushrooms.” These white mushrooms contain 400 IU of vitamin D per serving compared to just 6 IU in white mushrooms which weren’t exposed to UV rays. There may be other brands who are exposing their mushrooms to UV lights, but you don’t see it advertised frequently, leaving you to guess at the vitamin D levels of the mushrooms you buy. Because of how commonplace vitamin D deficiency is, the vitamin is often added to foods like orange juice. Vegans need to know that not all forms of vitamin D are vegan. So, foods which are fortified with vitamin D probably aren’t vegan. One form of the vitamin is D3, or cholecalciferol. It is the same type of vitamin D that our bodies make from sunlight. 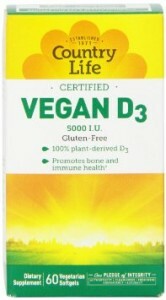 Vitamin D3 is almost always derived from animal origins and not vegan. Usually it is made by exposing sheep wool to UV rays, but it can also come from fish oil. However, there are now a few brands of supplements which make vegan vitamin D3. 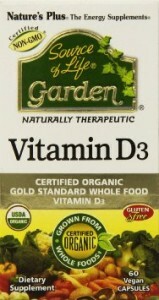 The other form of the vitamin is D2, or ergocalciferol. This form is always vegan and is made from mushrooms or yeast that have been exposed to UV rays. The first problem with D2 is that it is rarely used in supplements and when fortifying foods, so that fortified orange juice you are drinking probably isn’t vegan. The second problem is that D2 isn’t utilized by the body very well. Some people taking it to treat a vitamin D deficiency might not respond to it. The simple solution would be to switch to a vegan vitamin D3 supplement. 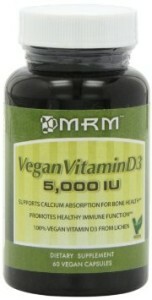 At the end of this post, you can find some vegan vitamin D3 supplement recommendations. 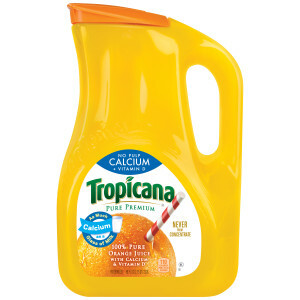 This orange juice is fortified with vitamin D2, so it is NOT vegan! Unless you live in a sunny paradise or eating a lot of wild-grown mushrooms, it is probably a good idea to take vitamin D supplements in the winter. I’d suggest getting a lab test to check your vitamin D levels. You might be surprised to find that they are low even in summer. If so, then supplements can help. Remember that vitamin D3 is much better absorbed by our bodies. Almost all vitamin D3 comes from animals, but these brands below make vegan vitamin D3.